Let me come to you. All you need is yourself and a smile. I bring the Yoga mats. 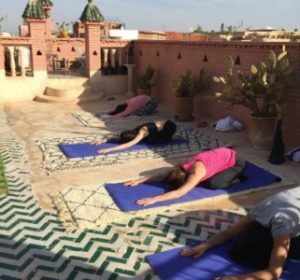 Book a private yoga session for yourself, your friends/partner/family or your group right at the comfort of your hotel, Riad or villa and avoid the hassle of of getting around. 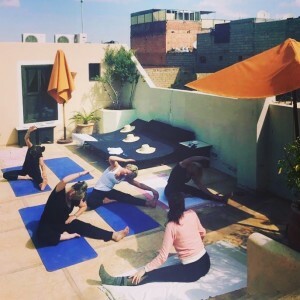 You can also book a Private Class and practice on the magical rooftop in the Medina, if you prefer. 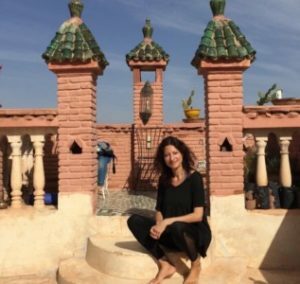 Spiritual Friday: A fun way to connect with new people and share a healthy meal. 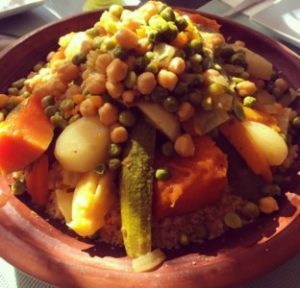 It is tradition to eat couscous in Morocco on Fridays. Come and inhale the good and the positive and eat delicious home-cooked food enjoyed on the stunning rooftop. Starts: 1pm – meeting point on the big square, Jema El Fna. From here we walk up together so you don’t get lost. The food is nourishing, fresh and organic with produce straight from a local farm. We cater for vegetarians and vegans too in case you want it to be meat free. Select location area (if you want the class at your venue), number of participants, number of classes. 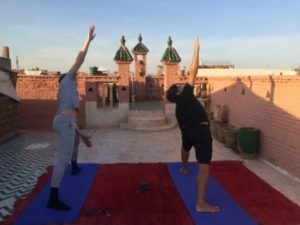 Specify date and time of your first class, type of yoga you prefer and how many mats required. Securely book your yoga classes with Paypal, Visa or Mastercard. Or pay cash on the day of practise. Email me for more information/sign up or Whatssapp +34660776389. Securely book your yoga classes with Paypal, Visa or Mastercard. Or pay a deposit and the rest in cash on the day of practise. 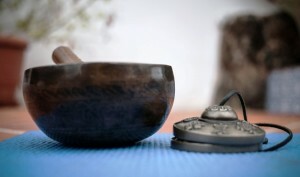 Talks on Ayurveda Nutritional Health, Anxiety, Lifestyle Stresses, Body Types and how to prevent serious imbalances using the principles of Ayurveda. 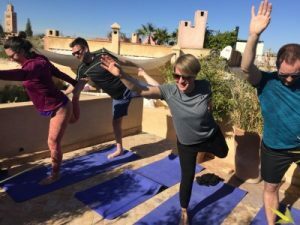 When you book 1 or more private Yoga sessions for yourself or a group of people a non-refundable deposit is due upon booking, usually the price of 1 private session. The deposit can be paid via Business PayPal or Bank Transfer. The rest of the payment can be done on the day of your class in cash. You may also pay the rest online 2 weeks before your booked session/sessions begin. 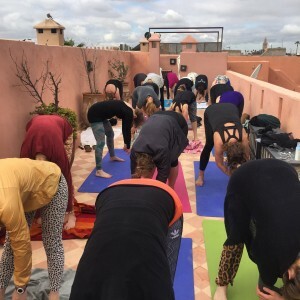 Please note, that if you book 1 or more private classes for a group, the price confirmed for the group stays the same, even though less people show up for class on the day of practice. 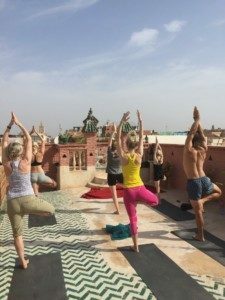 A cancellation less than eight weeks before the booked Yoga session or Yoga event begins: We apologize, but we are unable to refund any payment. A cancellation between 8-10 weeks before the private session or event begins: We will refund 50% of the total cost. Please note: Sally Goldfinger does not accept any liability for cancellations, delays or travel changes caused by closure of airports, civil strife, industrial action, natural disaster, technical problems to transport, staff cancellations, terrorist actions or threats, unforeseen changes in your personal circumstances, sudden illness, flight delays or other events beyond our control; participants’ medical or psychiatric conditions which may develop during a travel or at home before your travel begins, death in the family, divorce, loss of, or damage to, personal property of participants. If you have booked 1 or several sessions and suddenly wish or need to change schedule or would want less classes or less participants because of illness or your travel program might change, we apologize, but we are unable to reduce or refund any payment. Once you have booked your sessions, Sally Goldfinger blocks out your time slots, and therefore can’t refund any payment. 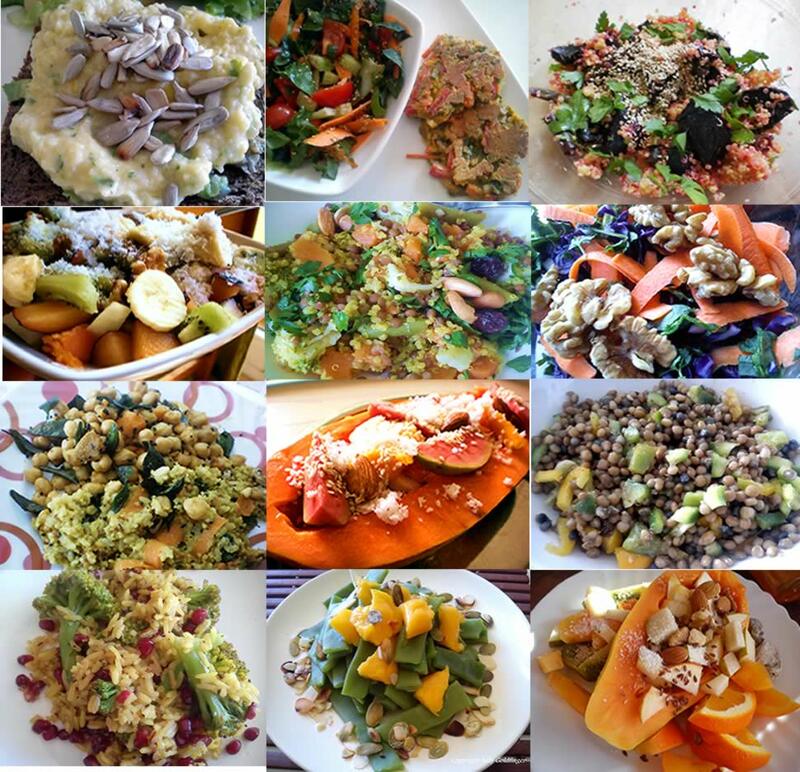 Delicious and simple workshop – fat free, dairy free, cleansing and nourishing for your body. 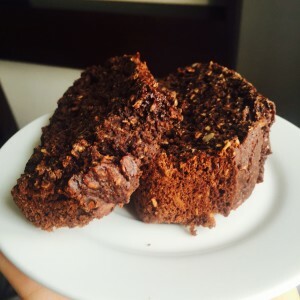 Book a fun and inspiring healthy cooking course – full of flavour and new ideas on how to bake healthy cakes without the use of butter, oil or eggs.